We pride ourselves on delivering a first-class service to all our customers. Our team is made up of competent professionals who share many years of knowledge and experience gained in multiple sectors around the world. They use this experience to ensure that every service is delivered with maximum efficiency and in the most customer orientated manner. Darren started his career at the age of 16 on construction sites as a trainee site engineer. He joined the UK Military at the age of 17 whereby he specialised in transport and logistics management. Darren rose through the ranks at a young age reaching middle management where he was responsible for the planning and delivery of a logistical service. During his last two years of service Darren decided that he would like to leave the forces to establish a new career in Health and Safety. He decided to undertake a pioneering course from Teesside University in European Machinery Safety requirements and the NEBOSH certificate to help prepare him for a life outside of the forces, in both of which he received a distinction. Darren was hired into his first role in the United Arab Emirates at the end of his 13 year career in the forces in 2010 as the Health, Safety, Security and Environmental Manager for a well know manufacturing and construction firm. This is where Darren undertook his NVQ Level 5 Diploma in Occupational Health and Safety whilst developing the companies Health, Safety and Environmental management systems and became a Chartered practitioner with IOSH. He was subsequently head hunted to the Oil & Gas sector where he managed multiple high value complex offshore EPC projects within the region. An unfortunate early redundancy moved Darren into his next challenging role. 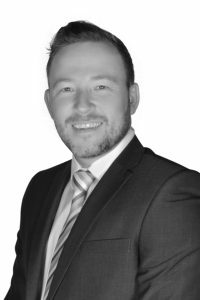 Darren specialises in Health, Safety & Environmental management from a strategic level on a global scale within organisations that require both detailed and technical systems. He is known and regarded as a “fixer”. 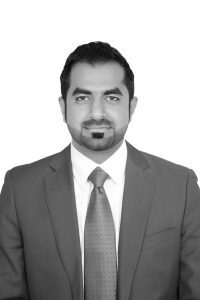 Shoaib has over 12 years experience in the HSE Management, Digital Marketing and Web development. He has worked with multinational contracting companies on various mega construction projects in Saudi Arabia, United Arab Emirates and Pakistan. In Ordosafe his main role is to plan and organise marketing functions and operations to define marketing strategies to support the Ordosafe’s overall strategies, objectives and facilitate growth, sales.